We have put together this FAQ page to halp answer some frequently asked questions regarding World War Brick. If you do not find the answer you are looking for, feel free to contact us with your questions. Q: Does it cost money to visit World War Brick? A: Yes. Tickets information can be found HERE. Q: Can I bring my MOCs (“My Own Creations” to World War Brick? A: Only Weekend Pass holders can bring MOCs ( to display at World War Brick. No MOCs will be allowed in or out during the public hours for security purposes. For more information or to register click HERE. 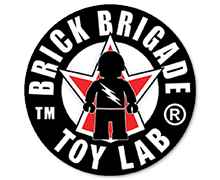 Q: Can I participate in the workshops, activities and contests at World War Brick? A: Most activities are will be held during the non-public hours of World War Brick and are available only to Weekend Pass holders. The schedule will show which events are open to the general public. Q: Is __________ going to be there? 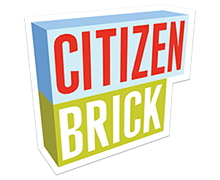 A: Yes, Dan from Brickmania, Julie from GI Brick, and Will from BrickArms (and a host of other regulars) will all be attending this event. However, World War Brick is intended to be focused on a group experience and all people are encouraged to participate as equals. World War Brick is not about hyping the celebrities. Q: Does it cost money to park at World War Brick? World War Brick 2017 will be held at the Embassy Suites Anaheim South and parking is free. Did we mention we are just a few blocks from Downtown Disneyland? Q: How much space will I have to display my MOCs? A: We more than 10,000 square feet of space in the main exhibit area and should give plenty of room for everyone to display their MOCs. We will provide necessary table space for all the MOCs and seating for everyone. A MOC registration link will be sent to all Weekend Pass holders in the weeks prior to the event. Pre-printed MOC cards will be provided for those who pre-register their MOCs. Blank MOC cards will be available on site. All MOCs must have completed MOC cards to be eligible for awards. Q: Do I need to give attribution for designs I copied or kits being put on display? A: It is a courtesy to give attribution to other builders for designs incorporated into your builds. However it is not required. The most important thing is to show up and have fun. Q: Do you have a policy on language and violence? A: Exhibitors are encourage to refrain from the use of abusive, derogatory, or vulgar language and/or actions. All of us together represent the LEGO military modeling community and what we do as individuals represent the entire community. Violence depicted in MOCs acceptable, considering the historical nature of the subject, but the organizers reserve the right bar displays that push the bounds of good taste. Please be reasonable. Q: Will there be security at the event and can I leave my MOCs unattended during the public hours? A: We will have security personnel on duty and video cameras will be present in the event space, but our eyes and ears cannot be at all places at all times. We have displayed our MOCs at 100s of LEGO fan events around the world and 99% of the time there are no incidents of theft. Sadly there is no way we can guarantee sticky fingers will not be present at World War Brick. We will assign security to watch the collaborative builds during public hours, but we encourage exhibitors to stay with their MOCs. This way you can keep an eye on your treasures and answer questions from the public. Q: Do I need to pre-register to attend activities or contests? A: Most activities will be open to everyone that shows up. Certain activities will require signing up for specific time blocks. These sign ups will be held at 10 am each morning. When you order the tickets will we get actual tickets in the mail? No, you just need to bring your receipt and/or ID. MOC registration will go live within the next day or two. Watch for email updates! are you going to sell exclusive kits? I’m a parent of a kid who wants a weekend pass to participate, but I do not want to participate in events but would like to be able to chaperone him. Do I need to purchase a weekend pass or can I purchase the general entry pass each day?? You would need to buy an additional Weekend Pass. The public passes are only valid during public times on Saturday and Sunday. There is so much more to WWB than just the public exhibit and you won’t want to miss out. We even have stuff for chaperoning parents to do!